The soul is feminine before God, waiting in a state of surrender for the Beloved to come. The sixteenth-century Indian princess and poet Mirabai knew this mystical truth. Mirabai was devoted to Krishna, her “Dark Lord,” and once, when she was wandering in some woodlands sacred to Krishna, a famous theologian and ascetic named Jiv Gosvami denied her access to one of her Dark Lord’s temples because she was a woman. Mirabai shamed him with the words: “Are not all souls female before God?” Jiv Gosvami bowed his head and led her into the temple. but the first soul from which Adam was born was also feminine. 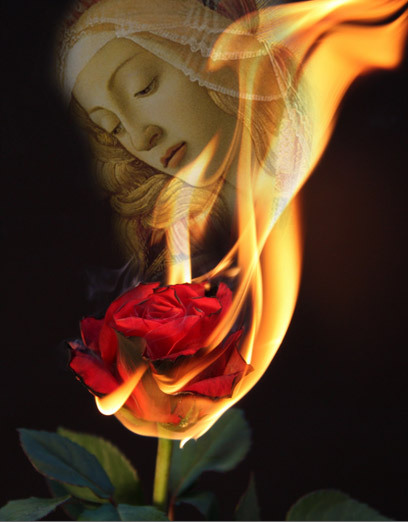 The Archetype of Divine Feminine became effulgent and manifest more perfectly than most other human beings at certain historical point in human history. 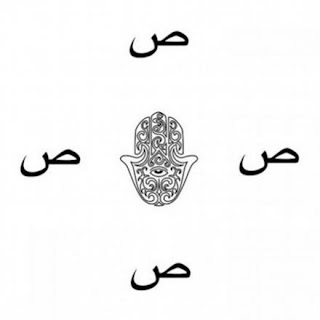 According to the Seal of Prophet, four are the brightest through four Radiant Faces, that of Asiya (Israelite wife of Pharaoh who cared for Moses at his infancy), Mary (Venerable mother of Jesus Christ), Khadija (wife of Muhammad and mother of the faithful) and Fatimah (beloved daughter of the Seal of Prophet), may Allah bless them all. Prophet Muhammad, upon him be abundant peace and blessings, his holy blood lineage continued not by any son but only with his daughter, who was Fatimah. According to people of the house (ahlul bayat) the true line of the Imams, who act as preserver and transmiter of the teachings of the Prophet Muhammad, and comes from Fatimah. Fatimah was born in the holy city of Medinah on 20 Jamadi Ath-Thaniah. Fatimah’s mother was Khadija-tol Kobra, the first wife of the Prophet, who was tremendously helpful in nurturing, protecting and helping Venerable Muhammad in realizing his vision and mission. 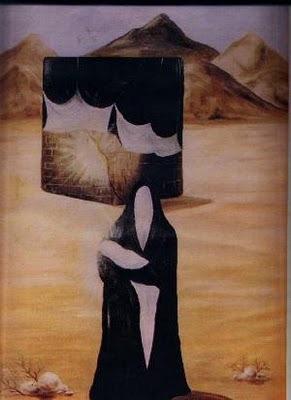 It was Khadija who comforted her from the beginning days of mind shattering revelatory experiences that came upon Muhammad and even when Muhammad was in shock and disbelief about his own spiritual experiences, it was Khadija, may Allah be pleased with her, who reassured Muhammad that such experience can only be coming from the Source of grace. In fact it was Khadija who first whole-heartedly believed in the mission of Muhammad and known as the first of believers, thus mother of Fatimah holds a special position in Islamic faith tradition. Khadija supported Muhammad until her last breath and Muhammad was so in love with this lady who was at least 12 or 15 years older than him, that he never really recovered from the loss of her loving support. Fatimah was from this venerable lady Khadija and physically Fatimah corresponded the most with her Father. Because of her special beingness of personality and beyond, Fatimah is considered by many Muslims as divine in origin and several variations of a major hadith describe how she was conceived on the night of Mi’raj (ascension). 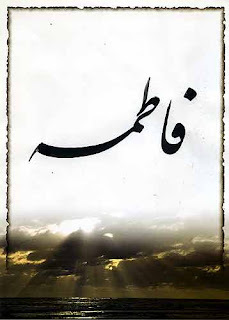 Fatimah tul Zehra (Fatimah the Radiant, Fatimah the Brightest Star, Fatimah-Star of Venus, Fatimah-The Evening Star), the daughter of the Prophet, is the secret in Sufism. She is the Hujjat of ‘Ali. In other words, she establishes the esoteric sense of his knowledge and guides those who attain to it. Through her perfume, we breathe paradise. Though she was his daughter, the Prophet Muhammad called her Um Abi’ha (mother of her father). While Fatimah Zehra was Muhammad’s daughter, the Rasulallah (Prophet of God – Muhammad) understood that his gnosis was bestowed upon him from the Divine Feminine. During his life time the Prophet showed special honor and favor to his daughter. Whenever Fatimah would go to the house of Muhammad, he would stand up out of respect for her and honour her by giving her a special place to seat herself in his house. He regarded her as a sort of primordial woman, a symbol of divine womanhood giving her many holy names, such as: Siddiqah; The Honest, The Righteous; Al-Batool, Pure Virgin; Al-Mubarakah, The Blessed One; .Al-Tahirah, The Virtuous, The Pure, Al-Zakiyah ;The Chaste, The Unblemished; Al-Radhiatul Mardhiah, She who is gratified and who shall be satisfied; Al-Muhaddathah, A person other than a Prophet, that the angels speak to; Al-Zahra, The Splendid; Al-Zahirah, The Luminous. Prophet Muhammad used to say "Allah, The Most High; is pleased when Fatimah is pleased. He is angered; whenever Fatimah is angered!" Shia school of thought revere the person of Fatimah both as Muhammad's daughter and specially so for being mother of the line of inspired imams who embodied the divine truth for their generation. As such, Fatimah is associated with Sophia, the divine wisdom, which gives birth to all knowledge of God. She has thus become another symbolic equivalent of the Great Mother. In a Sunni text of ‘Abul Fadl Ahmadi (942 of Hedjra), it is written that ‘Ali must be regarded as the true Tuba-tree of Paradise, for he serves as the veil through which the light of Fatima manifests itself. The proof that this Shī’ite gnostic cultus of Fatima is not based on her human fertility but rather on her beneficent grace is demonstrated by the secret name that she carries after the initiation: instead of her female name, Fatima, she is known only by the name Fatir. But Fatir is a masculine divine epithet. It already features in the Koran, where it signifies “Creator,” or more precisely, “he who lets appear.” What she will let appear, however, is the human form in which, at certain temporal intervals, the divine manifests its representatives (imams) in order to test humankind, to demand from it time and again the highest oath of allegiance. Fatir [creatrix], the mysterious name of Fatima, was probably chosen because the numerical value of the letters which form the name produce the same total as the numerical value of the name of Mary (Maryam). For these gnostic circles there is a form of reappearance (the reincarnation of one identical, unchanging archetype from one cycle to the next). 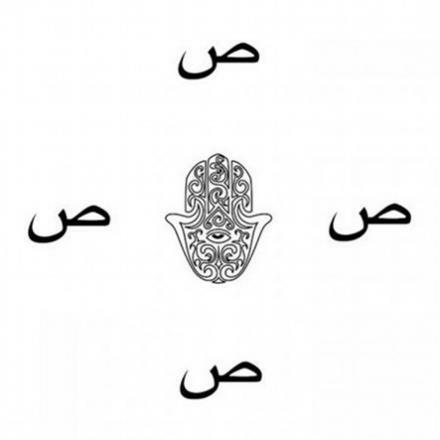 Thus, Fatima is also seen among esoteric circle a reoccurrence of Maryam principal. Years before on the night of my Sufi initiation, I had dreamed of Fatima who initiated me in the Mundus Imaginalis, or the Imaginal World. I dreamed I had entered the sacred precincts of the Ka'aba, in Mecca, on a Night of the Full Moon and there was no one there but me. The doors of the Ka'aba suddenly opened up and a female voice bade me to enter the inner sanctum of the Ka'aba. I entered the Ka'aba and there seated dressed in emerald green and wearing a white headdress, with the words Al-Hayy, translated as “the Living” written in Arabic on the headdress, was Fatima. She bade me to sit in front of Her and then commanded me to open my mouth. Laying next to Her was the double-edged sword of 'Ali, Zu'l-Fiqar. I opened my mouth and She grabbed my tongue and pierced it with Zu'l-Fiqar. Instead of pain, however, I felt ecstasy and was transported in the next scene of the dream to a dazzling desert landscape whose sands consisted of flakes of pure lustrous gold. I stood in this desert watching the Sun rise and as the Sun rose Fatima's face shone from within it fully unveiled. The higher this Imaginal Sun rose to its meridian, the more it formed itself into various shapes and forms, until it finally became the World Tree, the Tree of Life, or the Tree of Reality as I call it, whose roots reached into every expanse of Heaven and earth. I woke up! It was such a vivid dream I can never forget it! According to Islamic scholarship and also that of the people of Path (fuqara), the love of the Prophet and those whom he loved, namely his near ones among his holy family is an obligation and a sure pathway to achieve the love of God. In this regard, the love for Fatimah is divinely sanctified since she was the most loved one of the Prophet of Love. The most beloved of my family to me is Fatimah. The Prophet having spread over Fatimah, Ali, Hassan and Hussein a khaybarite (a mantle made from the region of Khaybar) mantle and prayed saying: "O Allah, these are the People of my Household, remove all imperfections from them and keep them purified as is the right to keep them purified!" The head of the women of Paradise is Fatimah. If I were separated from the fruits of Paradise I would kiss Fatimah. I testify that there is no deity (Lord) except the sole and matchless Allah. And the testification of the oneness of Allah is a word that Allah has declared sincerity (as) it's reality, and made the hearts the center of it's contact and union. And has made the specifications and research of the oneness of Allah's station obvious and evident in the light of meditation. The Allah Who can not be seen by the eyes and tongues are unable and baffled to describe His virtues and attributes. And the intelligence and apprehension of man is helpless and destitute from the imagination of his howness.